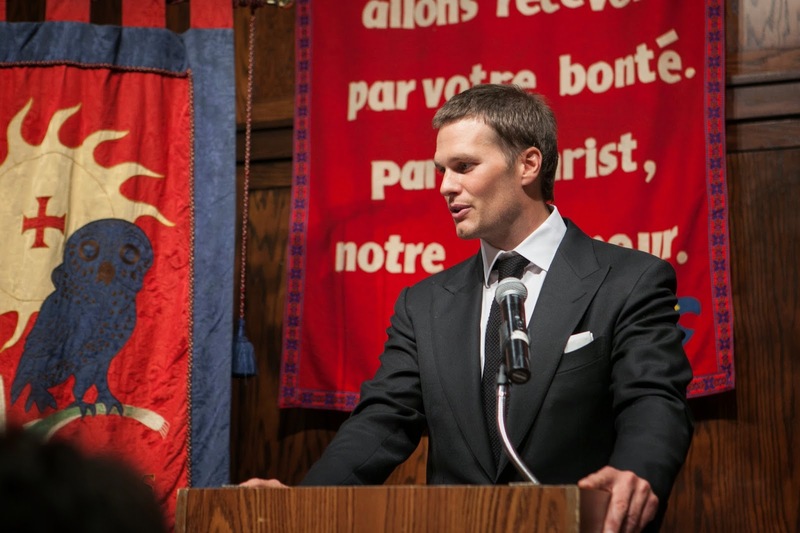 Last night, Saint David’s was honored to have one of the greatest quarterbacks of all time, four time Superbowl champion and three-time MVP winner Tom Brady, as the guest speaker for our Alumni Parents Council Lecture Series. 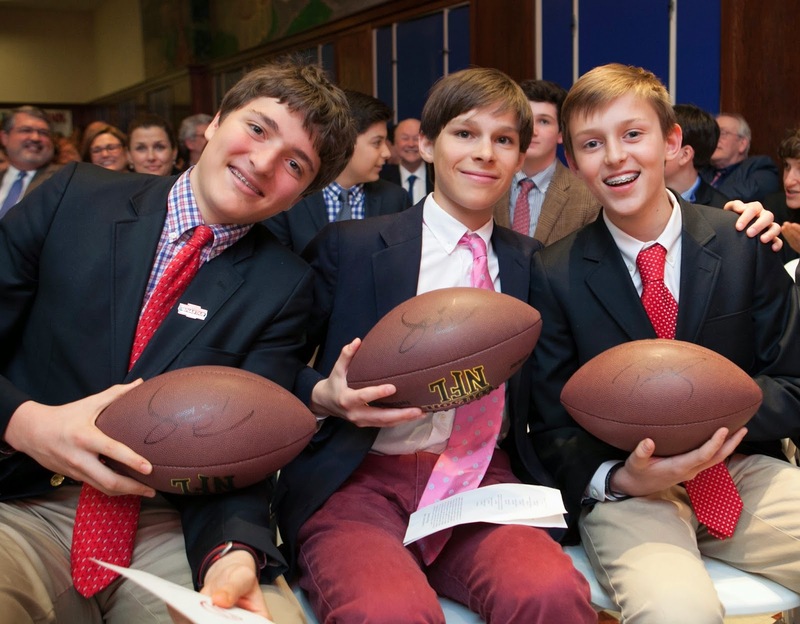 Tom, who is the father of one of our Saint David's boys, addressed a standing-room-only audience in Hyman Hall comprised of our eighth graders, alumni, alumni parents and faculty. 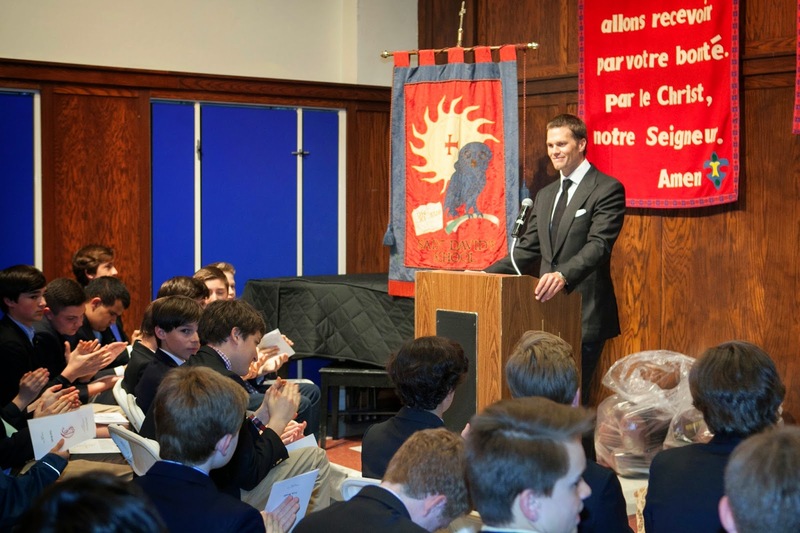 Friendly, introspective, witty, and wise, he directed his talk to the delighted eighth graders in the front of the room, and focused on the topic of leadership. In the end, Tom noted that “the true test of a man and leader is how you react to adversity,” crediting the tougher times and challenges he faced early in his career with helping him to learn, grow and succeed. 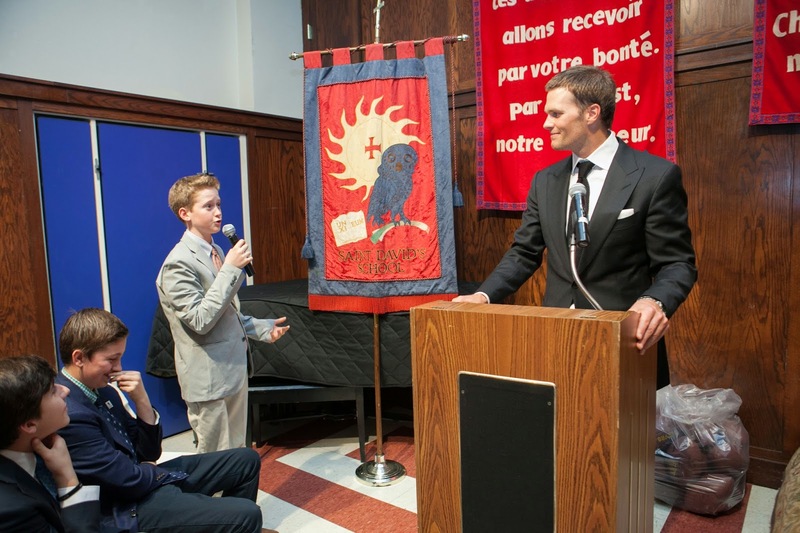 During the Q&A session, eighth graders asked Tom thoughtful questions about his career and goals, how he dealt with setbacks, and his work with the charity Best Buddies. I was proud of the depth of boys’ questions, and the assured manner with which they delivered them. 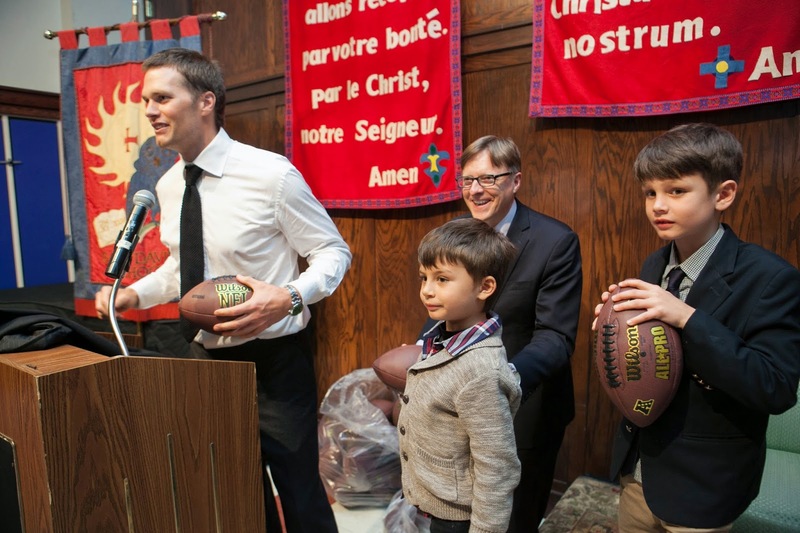 At the conclusion of the talk, Tom, with help from his sons, thrilled the boys (well, really all who were present) by throwing to each eighth grader an autographed football as a memento of the evening. It was such a fun and insightful event that reminded me of the potent ways in which sports is a metaphor for all of our lives…in the goal setting and practicing, the winning, the losing, the overcoming of challenges, and most of all in our doing our very best in whatever 'game' we play. The Alumni Council Lecture Series is sponsored by our Alumni Parents Council, under the direction of John Dearie '95 and the leadership of co-chairs Dorothy Faux and Linda Foran. They do a wonderful job of reaching out to our extended community by providing memorable evenings like this.